Do your safety instrumented systems perform? Safety instrumented functions and systems are crucial to control the risk in many industries. That is why it is essential to identify which functions are required, as well as what requirements should be given on their performance. 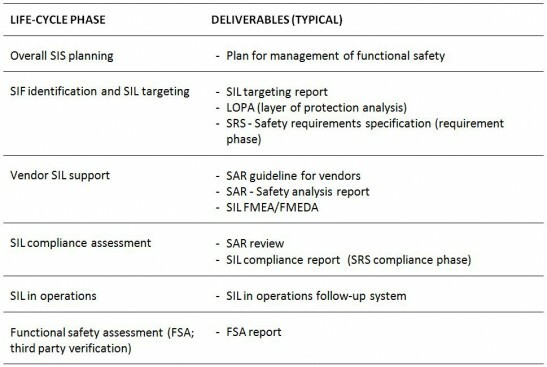 This is commonly known throughout the industry as “SIL requirements”; requirements to Safety Integrity Level. In land-based industry, as well as in offshore process plants, safety instrumented systems are applied in order to maintain the risk at an acceptable level. The performance of the instrumented protections is crucial for achieving the necessary risk reduction. 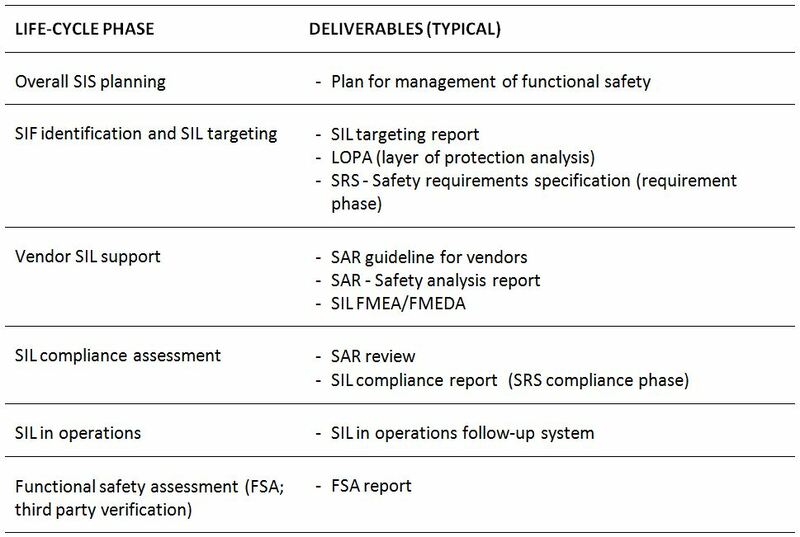 The basic concept is to provide a risk-based approach for determining the required performance of safety related systems. This implies that requirements to a safety function should be based on the actual risk picture for the protected equipment, process unit or similar. Various standards have been introduced by the industry, stating how the requirements to the safety instrumented systems shall be defined as well as how compliance shall be verified. The international standards IEC 61508 and IEC 61511 are important in this context, whereas the “Guideline 070” is an important guideline for the application of these IEC standards within the Norwegian petroleum industry. For railway applications, the EN 50126/50126/50129 (IEC 62278/62279/62425) standards use the same type of approach. Safetec has a long track record in assisting the industry in working according to these standards; identifying relevant require­ments, carrying out necessary assessments and preparing required documentation. Having worked for the oil and gas industry within this area for more than 20 years, Safetec has a comprehensive experience and has been involved in different roles for modification projects as well as field development projects. This has given us valuable knowledge and experience, both for the end users/operators, as well as the integrators (engineering companies) and the vendor/manufacturer. Safetec is also broadly used as an independent 3rd party to perform Functional Safety Assessments. Safetec is an active participant in the leading forum working within this area in Norway, the “PDS Forum”. We have also been a major contributor to the development of the national Norwegian SIL guideline (the “Guideline 070” from the Norwegian Oil and Gas Association). Get in touch to find out how we can help you take control of your instrumented protections.